Scholarships available and kids and teens ages 6 - 19. Deadline is extended to May 13. Join us as our Adult Program students showcase what they've been working so hard on all year! 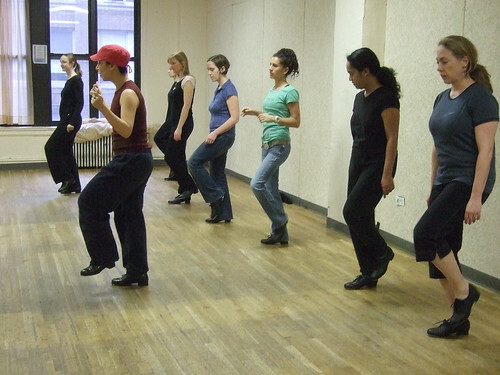 Come join us for mini sample classes, meet our faculty and watch some great young tap dancers in action! 45 minute documentary ''Hoofalogies/The Spirit of Jimmy Slyde'', based on unique archival footage peeking through the hoofing scene of the nineties in New York City! A night of live jazz and creative rhythm making. Bring your shoes or come and watch! Available for private lessons and special group lessons. Contact Brenda for availability and rates at bbufalino@aol.com. 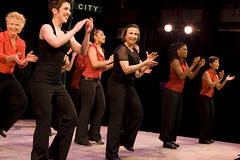 Aimed at the young and young at heart, the Harris Theater for Music and Dance concludes its 2010-2011 Family Series with Once Upon a Tap, a high-speed, high-energy tap dance performance featuring Derick Grant and the Grant Family Tappers. Together they will create a visual bedtime story through dance, bringing the action packed adventures of its characters to life in this foot stomping, tap dancing extravaganza. 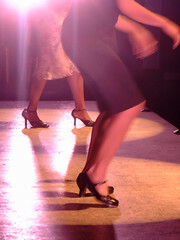 This super fast, energy packed, electrifying hour of tap is certain to get your feet moving! Come see award-winning dancer Jason Samuels Smith tear up the floor on May 18 at the Museum of Arts and Design. On a program with hilarious David Parker & the Bang Group and edgy Andrea Miller's Gallim Dance, featured on cover of April Dance Magazine. An evening told through tap, live DJ, and video in a modern cabaret setting and shows the evolution of Tap with an emphasis on different styles from Flash, Buck & Wing and Hoofing. Also featuring rapper A-Clay, singer J-Cast, hip-hop dancer La Jon Dantzler and hoofers Frances Bradley, Michela Marino-Lerman and Caleb Teicher. Purchase of a ticket does NOT guarantee seating; seating, as well as standing-room, is available only on a first-come, first-served basis for all shows without a dinner reservation. Two drink or $12 food minimum per person is standard. All tickets are non-refundable.